On a sunny morning in May 1939 a phalanx of 867 women-housewives, doctors, opera singers, politicians, prostitutes-was marched through the woods fifty miles north of Berlin, driven on past a shining lake, then herded in through giant gates. Whipping and kicking them were scores of German women guards. Their destination was Ravensbrück, a concentration camp designed specifically for women by Heinrich Himmler, prime architect of the Holocaust. By the end of the war 130,000 women from more than twenty different European countries had been imprisoned there; among the prominent names were Genevieve de Gaulle, General de Gaulle's niece, and Gemma La Guardia Gluck, sister of the wartime mayor of New York. 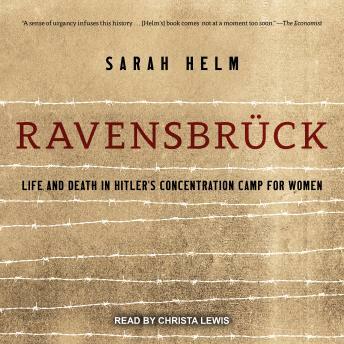 Only a small number of these women were Jewish; Ravensbrück was largely a place for the Nazis to eliminate other inferior beings-social outcasts, Gypsies, political enemies, foreign resisters, the sick, the disabled, and the "mad." Over six years the prisoners endured beatings, torture, slave labor, starvation, and random execution. In the final months of the war, Ravensbrück became an extermination camp. Estimates of the final death toll by April 1945 have ranged from 30,000 to 90,000.